For over a year I had been contemplating plunking down money for a digital body one last time and committing to shooting that camera for 5-10 years. In the film days I had the same camera for six or more years at a time and there are real benefits of knowing a camera in that way. After shooting Sony’s for almost three years and changing bodies frequently, I was now eyeing a Leica. Why? Well, like Hamish’s gear journey that is 35mmc, that answer cannot be said in short order. I asked Hamish some questions last year about rangefinders and he graciously shared his insights. Soon after I tested an α9 for a couple weeks, and since then have owned the M10 for almost three months. When I shared my observations he asked me to write them up for 35mmc. Higher ISO without artifacts: The α9 easily does ISO 25,600 and is decent even beyond, whereas the M10 waffles around throwing artifacts sometimes as low as ISO 8,000, and at other times I have nice images at ISO 40,000. The Leica camera manual even says at high ISO values “noise as well as vertical and horizontal stripes may become visible, especially in large, uniformly bright areas. . .” The lower ISO stripes so far have been in the blacks and can be hidden. When I tested the M10 at Tamarkin Camera in Chicago against my Sony a7R II it did very well, just the Leica so far does not feel predictable. I don’t mind noise, and others have said they see the M10 as being as good as a Sony α7S up to ISO 10,000. Praying for a firmware update helping in this area. Matrix meeting: Only available in Live View on the M10. In this day and age really think Leica could figure out a way to give us modern metering without delay in shutter release due to it switching in and out of Live View. Electronic Viewfinder (EVF) shooting: I really like shooting auto ISO and setting shutter speed and aperture to what I want, keeping an eye on the ISO, and adjusting the EV bias on the fly based on what I see in the EVF. This was one main reason I originally sold off my Canon gear and switched to mirrorless. I found a used external EVF for my M10, but it is not as responsive and I don’t enjoy shooting with it tacked on top, but it will work for adapted glass, super-wides and longer telephotos. EVF for reviewing images: I need reading glasses to really see the LCD screen, but not for a viewfinder, so the EVF is really nice to review images with, and to just see them in sunny conditions. But less chimping might be a good thing. Shows ISO in viewfinder: M10 has Auto ISO, but have to turn on the LCD screen info panel or chimp to see what value it picked. Eyeball AF-C: For portraits it is amazing! One reason I kept my Sony α6300 and a few lenses. 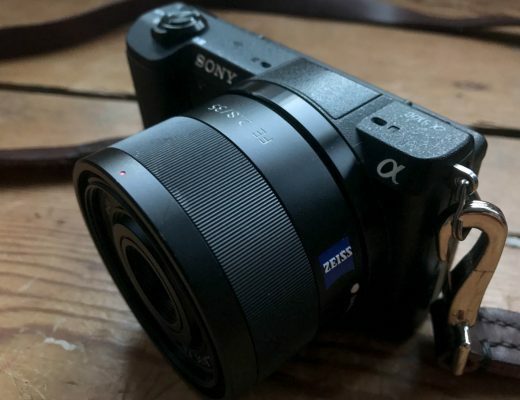 The α9 can even nail eyeball focus with wide-angle lenses, and in general when the AF hits it is very good, even at f/1.8. My Leica is mostly for reportage, and not portraits, however I do plan to get an M-adapter for my Sony 135mm STF – there’s a turn of events, adapting a Sony lens to someone else’s body! SD card door: Never thought I’d be mucking about the bottom of a full frame camera to get the SD card out. Add a grip, and even more to fiddle with each time want to retrieve the card, so α9 way ahead here. EV bias at a glance: Ironically, Sony usually does not get kudos for straightforward body design, but here is a second item. Use the Sony’s EV dial and at a glance can see what EV bias is set, as well as in the viewfinder. On the M10 only with a tap of the shutter button and looking through the viewfinder, or tap the button on the back to turn on the LCD screen, can see if it is +/- or zero. Full EXIF data: Do we really need it? I try to examine and learn from my successes and failures so I do miss seeing what aperture an image was shot at, but I went many years shooting film not having automatic recording of my shutter speed, let alone my aperture. I have started a Shoot Notes file on my phone. **June, 2018 firmware update added aperture estimate to the M10’s EXIF – early reports are it works pretty well. So this probably can now be crossed off the list. Leica tax: While the lenses generally hold value, current Leica bodies have an extra “made in Germany” cost, and will tumble in value like all digital bodies when the next generation arrives. If not needing higher ISO’s consider a previous generation Leica body. Accessories are not cheap either: Sony’s battery USD$78 which is ridiculous, while Leica’s USD$175! Smaller lenses: M-mount rangefinder lenses were a big part of why I ended up here. Not because of some Bavarian-fairy-dust-mystical lens renderings, but I feel the smaller lens opening facing the subject is less intimidating and less noticeable, which I have written about before on 35mmc. I also wanted a smaller kit and less weight; well, one out of two is not bad. These little brass lenses can weigh more than small DSLR primes. Of course, have to give up closer focus compared to big camera primes. While these lenses can be adapted onto the Sony, I did not find it a good experience due to the wide angles smearing in the corners and . . .
MF: While the Sony’s have focus peaking and can electronically zoom-in, the rangefinder system is so good, and just native, without all the fiddly button pushing and such. Also, I find peaking not useful with wide angles. 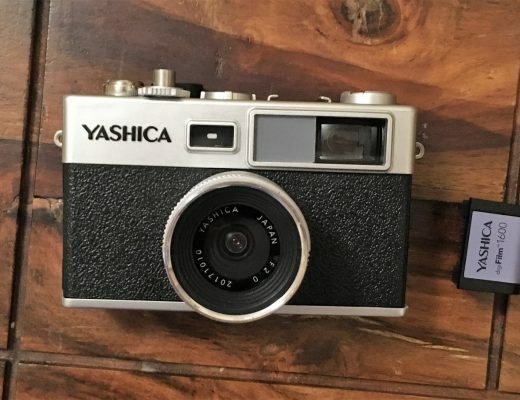 Rangefinder shape: Like the lenses, I feel the rangefinder shape is less intimidating, less of a visual statement when in use or hanging at my side, and dang it, I just like it. Leicas are the only full frame option at this time. Quiet: I love the silent shooting on the Sony’s, but when indoors in odd lighting banding shows up. It’s better with the α9, but when in mechanical shutter mode the α9 is loud and the M10 is hardly noticed. Also, I liked the shutter release better on the M10 as it feels almost instantaneous, even though the α9’s is very quick too. Skin and wood tones: I do not enjoy spending lots of time at the computer and so far I’m finding the Leica DNG files quicker to get to a pleasing image than I did with Sony’s files. And I’m not the only one, several shooters I contacted when doing my research found the same thing. And with this Lightroom Camera Calibration tweak I found on a Leica Forum I have default settings I’m very happy with now. B&W jpgs: I always shoot RAW, but really liking the B&W jpgs generated by the M10. Menus: At least Sony has added a favorites page to their notorious menus, and the M10 has an easy to access favorites menu too, but like most things on it, the Leica’s menus are just straightforward and intuitive to use. No Lock buttons: I really dislike having to push buttons on the α9 to change either of the top dials. Fast meter switching: While the Live View based Matrix or Spot Meter is not usually a plus, it does allow for quickly switching from the Center Weighted to one of them by just tapping the LV button on the back. Granted, it means the shutter release is slower. Great feel: I was warned, once I played with a Leica everything else feels like it’s just not built the same. I’m surprised I noticed as much as I did, as usually I don’t care. I don’t value a lens more because it weighs like a brick – looking at you Sigma Art. However, after trying the Leicas the α9 felt so plasticy. Fast to reconfigure: While there is something to be said for all the nuanced set-ups possible with the α9, when I have had to go from one shooting situation to a drastically different one with my Sonys I’m always finding I forget one or two settings buried in some sub-menu I didn’t get changed. With the M10, it’s all very straight forward. 35mmc is a lot about the appreciation of the uncomplicated camera. It still catches me, I turn on the M10 and nothing happens. No screens light up; it’s just there to work. And so far that has made it a very good place to be within when creating images. A quick note on the picture at the top: I’ve bought wood grips from J.B. Camera Designs for my last five Sony bodies, and now trying out his M10 grip. So far really like how it has improved my grasp on the camera, especially after shooting for a while. And it gives a place for my lower fingers to rest. If I had bought the α9 I would have also purchased one of his grips as the Sony Grip Extension takes up the tripod socket and is double the price. The Artisan Obscura Ebony soft release button has been a great M10 addition too. Director of Photography at FSBOHOMES.com & The Ro in RoHu Photography, Reportage Photography, Cedar Rapids, Iowa. Prior 25-yrs. Visuals Editor & Staff Photographer at U.S. Newspapers & Broadcast. ISO 40,000 & eyeball tracking. Mount that on an AI monitored drone! Suggest you consider a Barnack screw mount Leica which you can purchase at a fraction of the price of a digital Leica. I did consider a film Leica, and even got out my Canon T90 and shot it a bit again. I did not get into it in the post, but my background is as a newspaper photojournalist and tend towards reportage in available darkness, rather than outdoors and daylight, so film was not a good option for me. I shoot an A7RII and agree with a lot of your complaints. I hope in the future Sony makes a more rangefinder-like full frame body along with some smaller lenses (or alternatively, better MF aids similar to what Fuji does with their split image stuff). Agree! or at least give us a mini-a9 in an a9000 with a stacked BSI sensor in that line’s rangefinder shape. They have done that sensor in 1″ and the a9 in FF, time for a APS-C one. I’m no Sony fanboy but surprised you feel the A9 is plasticy. Have you ever held the original A7? That camera feels cheap. I picked up an A7 to use as a film scanner paired with a Leica BEOON and a Rodagon APO enlarging lens. I then picked up an A7II when they dropped to $1k after being seduced into using me M glass and Zeiss SLR lenses on it. The build quality of the A7II is night and day better than the A7. My M262 also feels like a solid tank. Those cameras compliment each other in my arsenal. If you are new to RF photography what you’ll soon appreciate is how looking through and composing in a RF window can change your shooting style. It really surprised me. I seriously usually don’t really care about the build feel of a camera as long as it does not fall apart and fits the hand. As mentioned I added J.B. Camera Design wood grips to all my Sony’s to fit my hands. I had an a7S and handled the a7 – I know what you mean. And I’m enjoying the change/challenge of RF shooting. Any particular reason why you didn’t consider the Fuji X-Pro 2? 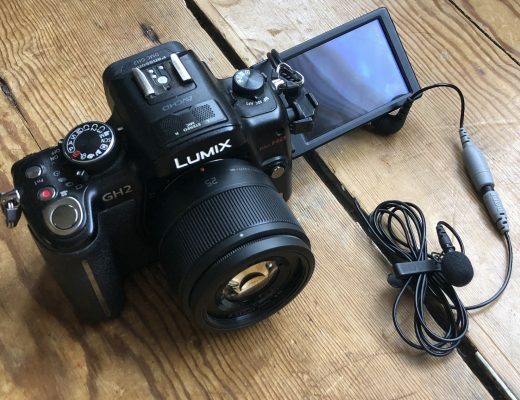 They seem like a pretty solid option for a low profile mirrorless ILC camera and they also happen to produce some really great SOOC JPEG files. The only thing is that they’re not full-frame, but given Fuji’s focus on APS-C sensors, it’s not like you’d be purchasing second rate glass anyway. In my experience, even modern APS-C sensors can be pushed quite high in the ISO range and still create usable files so I feel like low-light performance—the typical argument for full frame sensors—is not nearly as much of an issue unless you happen to regularly be shooting in extreme low-light situations. Granted, the X-Pro series are still not proper rangefinders in terms of possessing the optical focusing system, but it seems like the X-Pro 2 might have addressed a lot of your wants at a fraction of the cost of the Leica. Then again, if you can afford a Leica, why wouldn’t you get one? LOL! I’d like to get myself an M-A someday… God willing, they’ll still be selling them by the time that I can afford one. I really wanted the X-Pro2 to work and save the money, but I asked several people during my year of research who had used it and they all said the electronic rangefinder in the optical VF just did not work well for manual focus with small M-mount lenses adapted on it, and like Sony some M-mount lenses don’t play nice with the sensors. The other major reason is what you said – I wanted higher ISO capabilities. See my Instagram for examples. As I mentioned I kept my Sony a6300 for portraits, and also sports and my day job. The a6300 is set up better than other brands for my bill-paying work. I continue to keep an eye on Olympus, Fuji and Sony’s APS-C bodies, and sure the ISO performance will improve in all of them. Also, while I’m sure I could get use to it, the Fuji aperture ring goes opposite from what I’m use to and is just annoying when I tried out an X-Pro2 for part of a day (sadly they did not have the M-mount adapter there). And I don’t care for film simulations – in body or as presets. My work had changed and I was able to sell off some gear to buy the M10, or the a9 if I had decided to go that route, and lucked out on some well used Leica lenses, some with scratches but they shoot just fine. A 7000 $ camera free of tape and wood and other pimping and with a good moisture and scratch free lens. I agree with you. I also had A7RII, A6300 plus a few Leica bodies. Lately I sold all my other Leica (SL, M240) and just keep the M10. For my line of photography, I have to use Digital Cameras. Lately I fell in love with the pictures taken with my 20+ year old Minox GT-X. I am placing those pictures on the company website to entertain clients. I think the simplicity of the M10 and the Color Signature, and most important, this Sony could not achieve, is the Background Isolation from the Subjects. Sony A9 or A7RIII are very good cameras, I tried them all. great colors but for Product Photography these cameras seems to be a little bit “Too Color Busy” so to speak. But for Landscape, regular shooting by my guests, I would let them use the Sony, less complicated and fully automatic. Great post! And the most amazing thing is “What a great Vintage Camera you are holding, 30 years old?” were the comment from others. June, 2018 Leica firmware update added aperture estimate to the M10’s EXIF – early reports are it works pretty well. Has been noted in the article too. The firmware update also brought a continuous low speed (3 fps) which is really nice for being able to shoot one frame when you want, but have option of several and keep the same metering you had locked-in with the shutter button. One interesting part of the update is auto-ISO now starts at ISO 200 “to optimize dynamic range.” I have read ISO 100 seemed like pull-processing and the camera acted like ISO 200 was native, where the highlights were less likely to blowout. Beautiful camera. 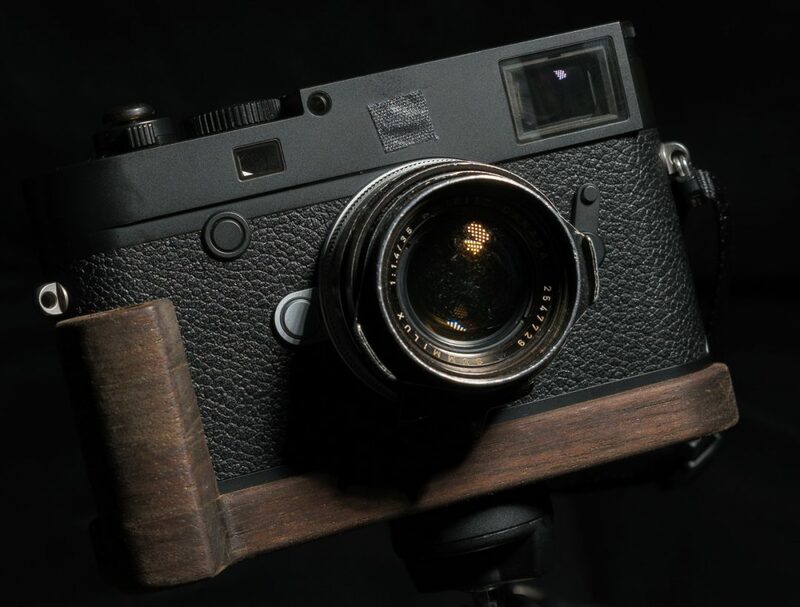 I would so love to have the Leica rangefinder experience, but as a hobbyist of modest background, I simply can’t justify the extraordinary expense. I have a Fuji X100F, which I greatly enjoy, and is probably as close to an M10 as I can afford. I know it’s not the same thing, very different in reality, but it also has some strengths the Leica does not have.